Gray - it is this color that conquers hearts of all the fashionable moms. 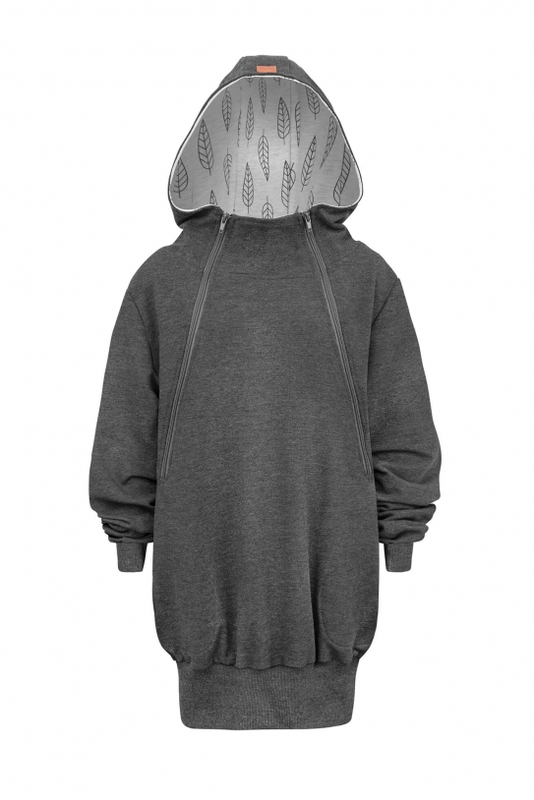 The dark melange combined with a light gray zipper gives the sporty sweatshirt an urban style. All this is complemented by a hood finished inside with a star-shaped motif. Mamatu breastfeeding sweatshirt - wear it in many ways! 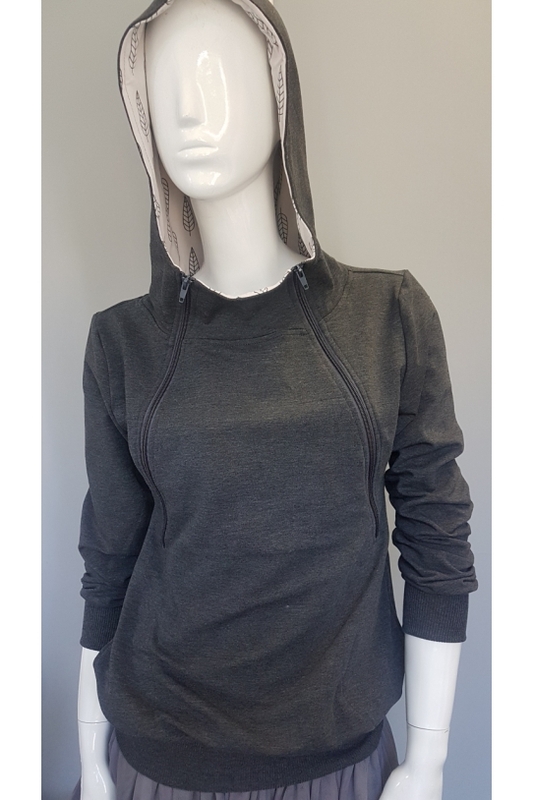 The dark gray sweatshirt with zippers has been designed for breastfeeding mothers who want to dress up practically and fashionably. With a minimalistic pattern and universal color palette, you can also wear the sweatshirt after breastfeeding. 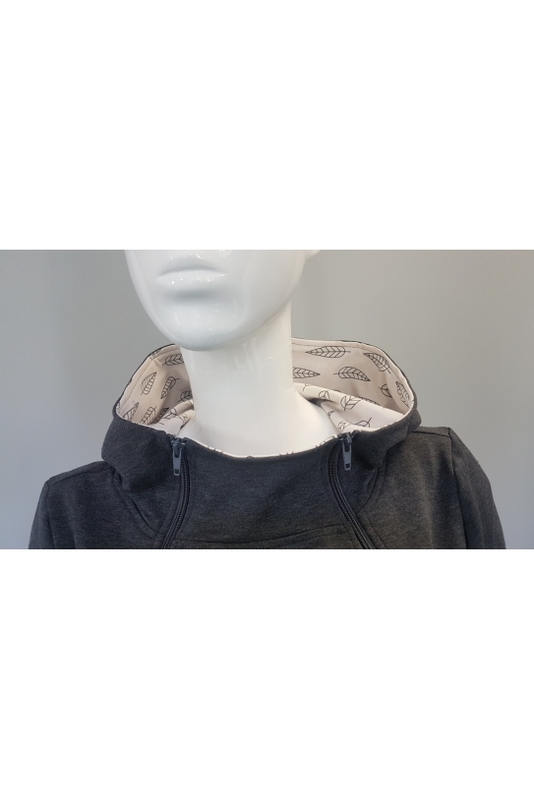 What will Mamatu sweatshirt with zippers go well with? You can wear it with classic navy blue jeans and jersey sweatpants. 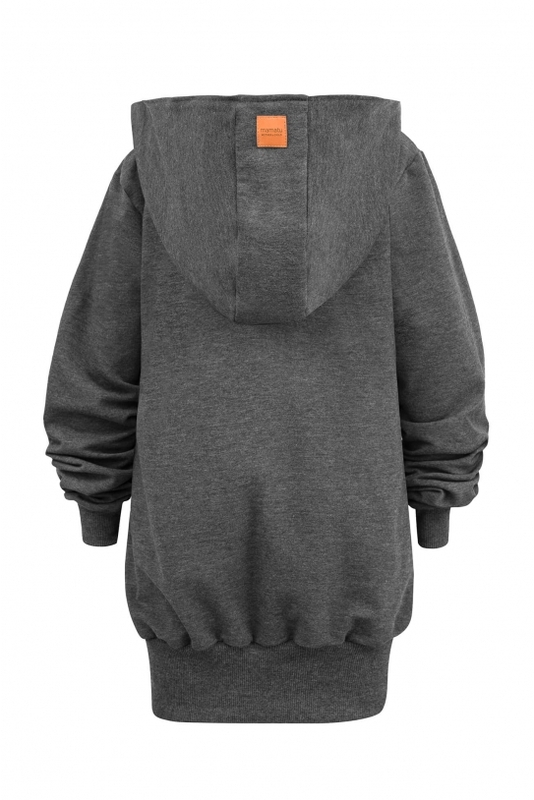 Check trousers from our offer - to this sweatshirt we especially recommend women's gray monster sweatpants. But it is not all! The zippers are not just a decoration. Thanks to them you can quickly unzip the sweatshirt. This makes it possible to discreetly and comfortably feed the baby, both at home and on a walk. Just one quick movement - you do not have to take off the whole sweatshirt to feed your toddler. 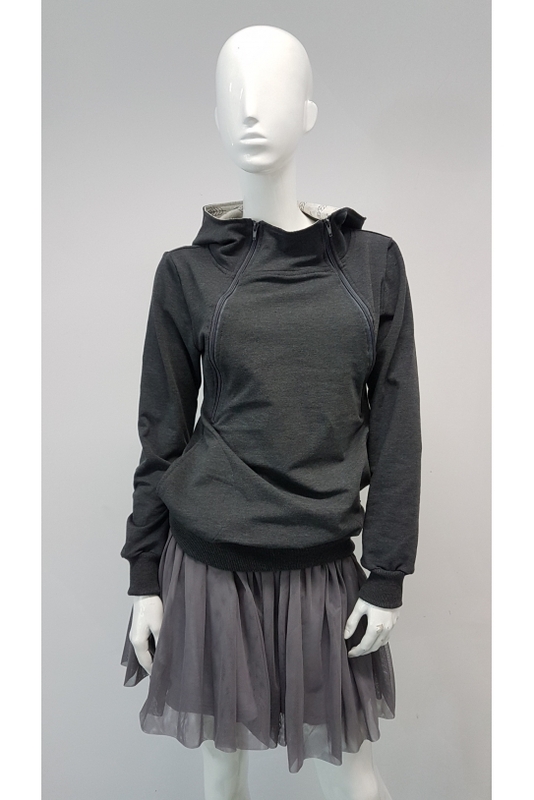 Discover the key features of our fashionable gray sweatshirt! natural delicacy and a bit of elasticity - fabric composition: 95% cotton, 5% elastane - perfect combination for active moms who want to keep their freedom of movement in any situation.